Capcom held a brief livestream yesterday, showcasing twenty minutes of Devil May Cry 5 gameplay featuring Dante. You can check out the character’s movements, and watch him explore and take down numerous creatures as Community Manager Matthew Edwards plays the game on normal difficulty. The video below also features commentary. 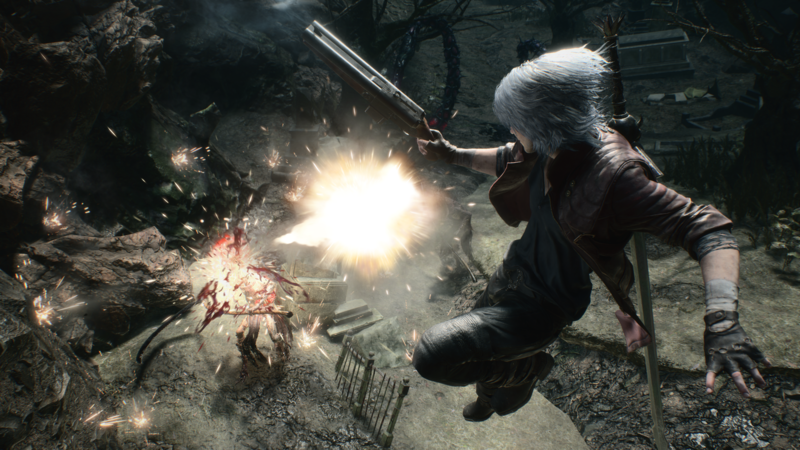 Capcom recently came under fire when it emerged during Tokyo Game Show 2018 that Devil May Cry 5 features microtransactions that allow players to purchase Red Orbs with real money. The items are required to upgrade characters, offering those willing to pay an option to expedite the process. “It’s understandable that people are worried about microtransactions in games,” said Capcom producer Matt Walker. “I’m happy knowing that people will be reassured when they play the game and find that it’s balanced the way all the other DMCs have been.” Nevertheless, fans are concerned about the impact adding such an option will have. Devil May Cry 5 is scheduled to release on March 8, 2019 for the PlayStation 4, Xbox One, and PC. The game will include multiplayer features, as revealed by official product descriptions. Capcom has said that it’ll reveal more information in due course so stay tuned. In the meantime, share your thoughts on the gameplay with us below.